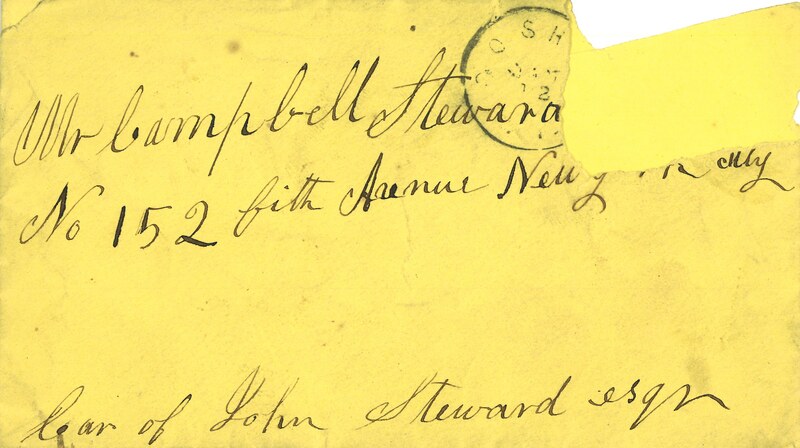 One of the envelopes in my box of family papers turns out to contain material on my great-grandfather Campbell Steward (1852–1936) as a boy, as well as a letter written to his married daughter in Europe shortly before his death. Another item caught my eye: a vivid yellow envelope addressed to “Mr. Campbell Steward” in New York City, with a letter inside mailed from Goshen, New York, and dated 12 January 1871. When my great-grandfather was a boy, his family lived in Manhattan during the school year and in the summer at the Steward Homestead in Goshen. The Homestead, originally built by my great-grandfather’s great-grandfather on a working farm, had by the 1870s become a gentleman’s caprice, a place to withdraw from the city in search of cooling breezes. 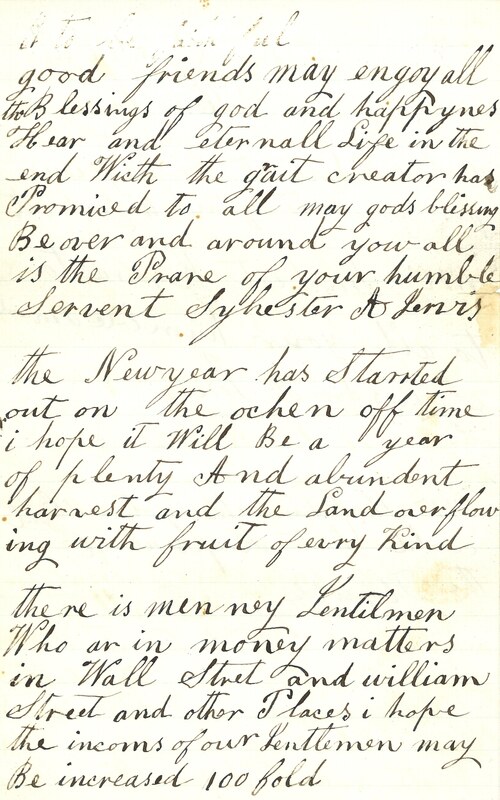 Here the Stewards had a number of African-American servants, among them Sylvester Jervis, who sat down a few days into the New Year of 1871 to write to my great-grandfather, then aged 16. With regard to Sylvester’s comment on “money matters,” there is a family legend that Campbell’s father was ruined in the Crash of 1873. Certainly the New York house on Fifth Avenue was given up, and in due course my great-great-grandfather’s reduced family was merged into the household headed by my great-great-great-grandmother Harriet Banyer (Le Roy) White at 13 West Twenty-first Street. 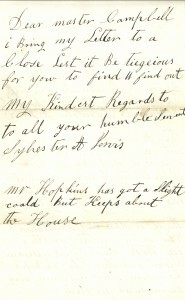 Hannibal Mason Hopkins (1788–1872) was married to Campbell’s great-aunt Mary Steward 1822–63. 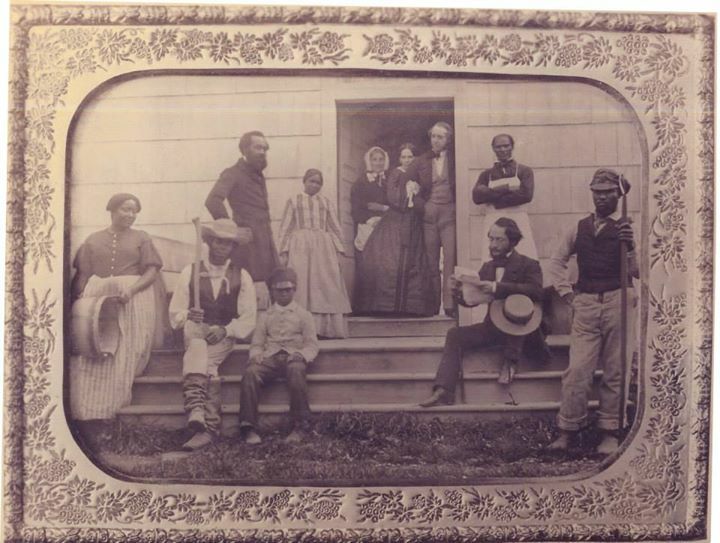 Also shown, standing in the doorway, are Campbell’s aunt Rachel Young Steward (1829–1865) and her husband Camille Marié, to whom she was married in 1856. Following the deaths of my great-great-grandmother Catharine Elizabeth (White) Steward in 1867 and great-great-aunt Harriet Le Roy (Steward) Stuyvesant in 1872. This letter is remarkable, for many reasons. First, had the Steward family had slaves? Or were their black servants truly servants before the Emancipation Proclamation? 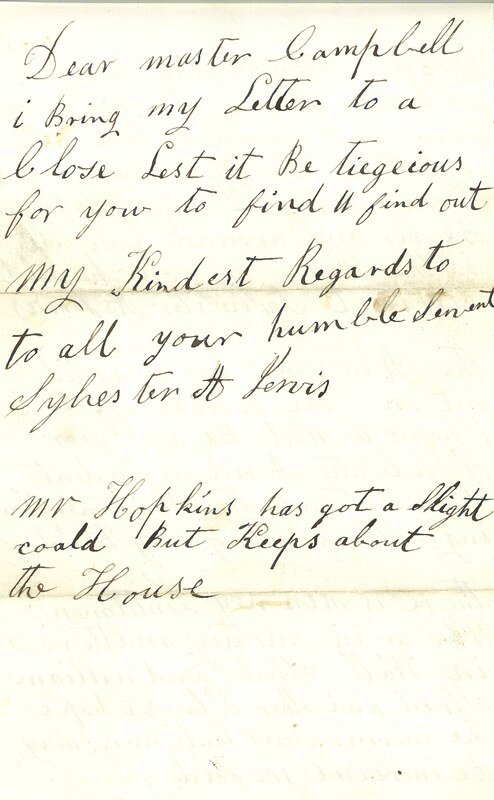 I know that in the north prior to the Civil War “servants” was often a euphemism for slaves. 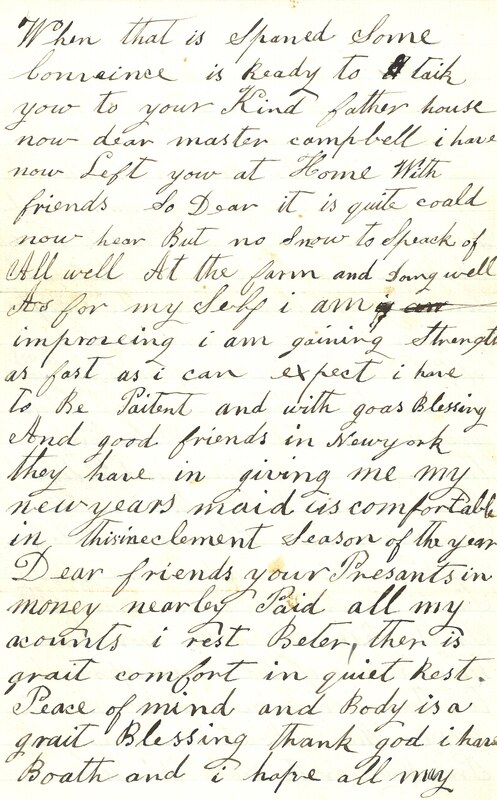 This letter was written less than a decade after the Civil War was over. 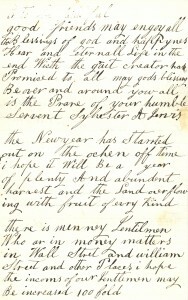 But Sylvester Jervis is clearly a well-educated man, though probably without a college education. His penmanship is wonderfully legible, he’s very observant, and highly imaginative. While respectful of his young master, he’s self-respecting as well. What else do you know about him? And the relationships between your family and their African-American servants? Doris, I don’t know a lot at this stage, although I have more photos about which to write! 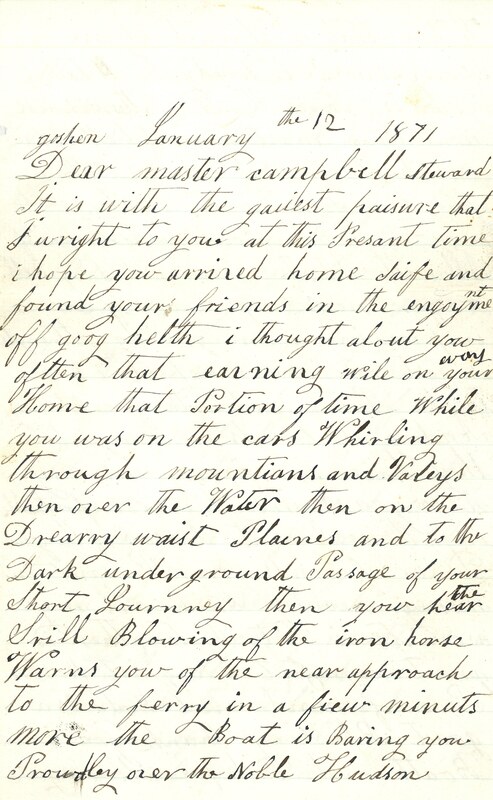 I think the Stewards’ black servants must have been educated in the local schools, and I would imagine that the connections between the family and their servants were long-standing. What a wonderful individual you have found here in Sylvester Jervis. True too, is the great example of the times of old New York. Both are nicely told through his own account, and through perspective of your words. 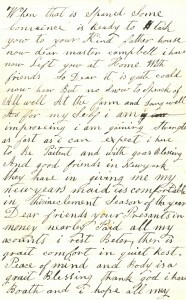 There is so much to be gleaned from old family letters! I am always grateful not only when I find them, but when I find that someone has had the foresight to save them with purpose. Thanks, Jeff! 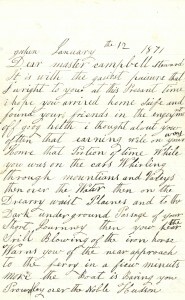 I think it’s fascinating that the letter was kept with a very few papers, really, considering how much family stuff must have been discarded over the years. It speaks to a deep bond, I would say!